I built my Hyp3rL0cal directory a month ago and I submitted to the CityGrid partner account management team for review. I want to be treated like any other developer, so I understand how to use the CityGrid API places and advertising API properly, and give feedback when things don’t work or make sense. To increase your click through rate for business listings which are advertisers, we strongly advise you to integrate our Custom Ads API and display these listings at the top of your search results page. You can view an example of how the Custom Ads API is implemented on Citysearch’s Search Results Page in the 4th screenshot under 3.6 Places that Pay here. 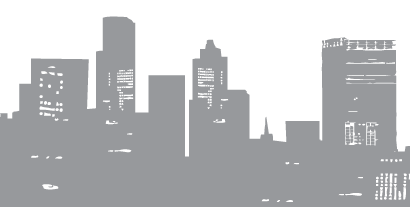 So I added a method to the CityGrid Advertising PHP Class I wrote for making calls to the Custom Ads API. The API call returns back XML or JSON parts and pieces of a local ad I can list at the top of the search listings page. I’m able to format the advertising to appear with my CSS styling, and I used the image, name, tagline, description and address if they are available, and provide a link to the advertising destination URL. I like the way I’m able to blend the custom ads into my local search listings. It definitely seems like users are more likely to click through when presented with a sponsored link that is relevant to their local search. I’m working more on how to lay out the reviews, ratings and offers part of my local sponsored listings next. 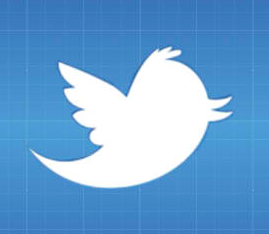 I wrote about using the Twitter Bootstrap framework for building local applications last week. When you are building your application, the default set of styles may not be have exactly the fonts, colors and other characteristics you are looking. To help you in your development, I found the Twitter Bootstrap Generator, that you can use to quickly choose colors, fonts and other styles your looking. Another time saving tool to help you rapidly build local web applications. When I started working with the CityGrid Places API I needed a project to help me learning about how to use the API, and wrap my head around whats possible when building local web applications. I built Hyp3rL0cal which is a local web directory, that I wrote in PHP, then created Python and Ruby versions as well. While I think local directories are still a very valuable and relevant part of the CityGrid network, I do not think they reflect the future of local web applications. So I”m spending time trying to brainstorm what is next, and I want to explore the difference between a local directory and local guide. In my opinion a local directory is a web application that provides search and browsing mechanisms for users to discover local businesses and places on the web. The concept of a directory is really built around the user navigating the places data, and finding what they are looking for. Which requires the user to be willing to work for the discovery, something that not every user we be able or willing to do. This is where I think an important evolution of local comes in–from the local directory to local guide. Rather than requiring users to find their own places, we should be guiding them more and making our local web applications more intelligent in helping users discover what they are looking for. These are just initial thoughts on this, but one example that comes to mind in the travel industry, is Hipmunk hotel search. Hipmunk provides a streamlined way of guiding you through finding a hotel in a city, between specific dates and allows you to effortlessly filter, drag and mouseover your way to finding your room. 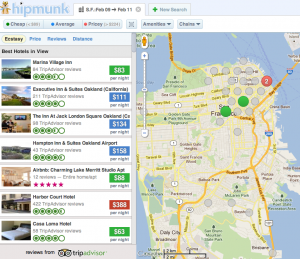 Hipmunk is just one example that comes to mind, I’m sure there are a lot more out there. I will keep hunting for better examples of how to help evolve the definition of local from a directory experience to form of discovery that helps guide you through business and places, and share with you developers, so you can use in your local web and mobile apps.